Hmm, I'll see if I can drop in one of those days. Brands is running an ACU test day on Friday 18th March, starts at 09:00 and ends at 17:00. I am not aware of any restrictions on a admittance etc. but I will check when I book it. Well, two years after the Seeley T500 ended up on top of the tyre wall at Pembrey we returned for a rematch. It's the rider, Gary May, who makes the difference, Hooli. Commited to going as fast as he can when on the bike is an understament. 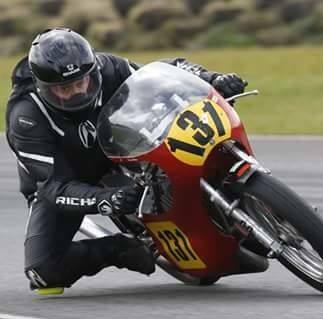 He did a couple of 250GP wildcards at the Brit GP in his youth so knows how to get "On it" . Last edited by Zunspec on Wed Apr 06, 2016 4:17 am, edited 1 time in total. We have been doing a bit of development since Pembrey as there were various chassis and engine niggles. 1. 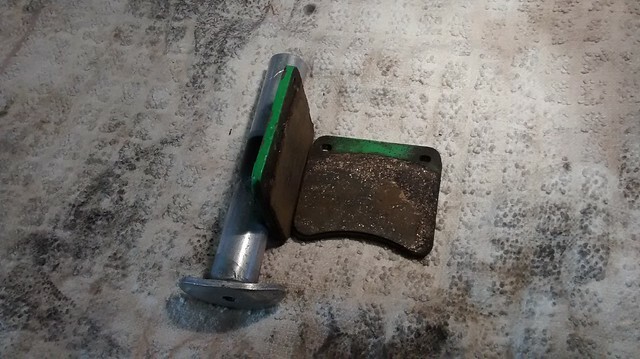 Returned to a 90/90x18 Avon AM26 front tyre vice the 110/80x19 AM22. Gary was experiencing unpleasant chatter which was limiting the pace he could run. Hopefully the smaller section tyre will help as when we were running with this before chatter was not there. The bigger section rear tyre performed well so that will stay. 2. Had the Scitsu rev counter repaired, Gary ran all 3 days at Pembrey without a tacho. 3. The Mk 2 rear splash guard fracture so has now been replaced with ali veneered 5mm composite board I got from the local graphics shop. Spotted this in their off-cuts when I got the decals made. 5. The carbs now have 2.5 slide cutaways and smaller pilot jets to address the low rev pick up as we were running rich it seems. The proper race engine is almost ready too (yay). The installed engine basically has a road tune and was put together with longevity in mind rather than out right bhp. It still does 54 bhp and 45 lb/ft of torque but the race engine should improve on that . We might also have a sniff at some sponsorship otherwise our next outing will be at the CRMC Classic Racing Festival at Donington on 5th - 7th August. As Gary is leading the 500 A/C championship after the 1st round it would be a shame to miss 3 rounds and lose it all. When is the next meeting? All sounds good for a good performance again then. hondapartsman wrote: When is the next meeting? All sounds good for a good performance again then. CRMC Classic Racing Festival at Donington on 5th - 7th August.